Even the best businesses will lose customers from time to time, often for reasons that have little to do with the quality of the products and services they offer. Keeping your business healthy means replacing those lost customers with a steady supply of new faces. Growth is a priority for every successful business, and building your customer base online is about more than just expanding revenue. Of course, you wouldn’t be running a successful business if you simply stopped there. You want to add to your customer base, not just tread water. The good news is that there are plenty of proven ways to grow your business, and you just need to pick the right tools for your needs. Here are our favourite tactics for growing your Alberta business. You can learn much about how to target new customers by taking a look at the preferences of your current customers. Offering surveys or feedback forms will get you a bit of information, but there’s no substitute for having real conversations with the people who patronize your business. Explain to a customer how their feedback will lead to better service, and you’ll have little trouble getting them to open up about your company. Talking to your customers will gain you valuable feedback about your business, but that’s just half the equation. It also gives you a window into the mind of the customer, and what motivates them. When requesting feedback, don’t be afraid to take both the positive and negative. Most business owners who gather this type of feedback are surprised by the depth of the comments they receive. Understand what your customers need, and what they want. Why did they choose your business over the competition, and what led them to your product or service in the first place? Speaking with your customers also gives you the opportunity to create buyer personas or customer profiles. Learn about your customers’ interests, even if those interests don’t have much apparent relation to your business. Every bit of data you gain about your customers can be used to improve your marketing and sales processes. Once you’re done looking inward, it’s time to reach out and put all of the information you learned to work. There are many ways to attract customers, and your research will help you decide the right options for your business. Your website will be a major resource as you chart a path to sustained growth. Not all websites are created equal. A responsive website with clean design and clear navigation will lead to more converted customers than a stale, outdated site. Pay special attention to the mobile version of your site. Many of your customers will browse your site on their smartphone or tablet, so responsiveness is absolutely vital. Use social media to engage with customers and spark conversation around your business. With social, involvement is everything. 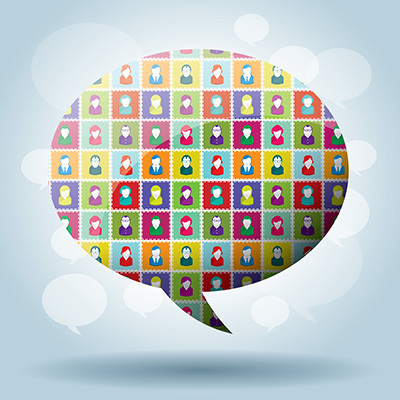 You’ll get much more out of it if you actively read and respond to customer comments. Consider which types of online advertising best suit your business. Pay-per-click ads can be a valuable way to reach targeted customers, while search engine optimization will help you reach customers who are searching for the solutions you offer. When you earn a satisfied customer, don’t be afraid to ask for referrals. Offer special discounts or other perks when a customer refers new business, as a way of saying thank you. If you’re trying to generate interest around a specific product or service, consider offering a free trial. There are few things customers love more than a free chance to try something new. Growing your business requires a comprehensive plan. You’ll have better luck trying to use a mix of these tactics than by putting all of your focus on one or two items. In the end, it’s all about understanding what your customers want and need. That starts with understanding your current customers, and ends with applying what you learn to continually generate new business. Ready to grow your Alberta business, but need some help with the details? Emphasize Design has you covered, with advice that will help you generate qualified leads, and convert those leads into satisfied customers. PreviousPrevious post:How to Write Effectively for the WebNextNext post:What Are the Most Successful Email Personalities?